We believe that language is a powerful tool for learning and social development. We are committed to developing pupils’ competence in understanding and expression of spoken and written language. Our aim is to develop in pupils a positive attitude to learning, language and each other: to develop pupils’ competence as listeners, talkers, readers and writers. We recognise that writing is a complicated process and therefore, in order for children to succeed, our planning provides a range of scaffolds to support their success. These scaffolds include; talk for writing, drama and role play, embedded ICT, writing for a range of purposes and audiences, explicit grammar teaching in context, exposure to high quality texts, visual and language scaffolds as well as the systematic teaching of spelling and handwriting. Each year group covers a range of genres as set out in the Primary Literacy Strategy. We use the ‘Gateway Progression in Teaching’ documents to plan daily Literacy lessons for all pupils. These include speaking and listening, writer’s knowledge, purpose and audience, EAL grammar, word and sentence level and structure and organisational features, in order to meet the needs of our pupils. 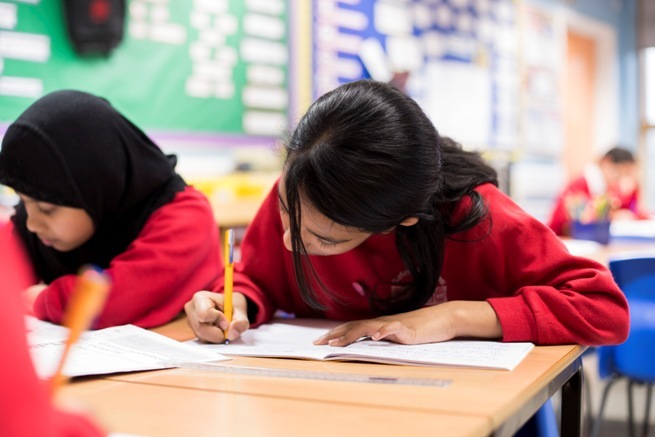 As part of our commitment to raising attainment in writing across the school, all year groups have the opportunity to write for an extended period (double literacy), every Thursday. In addition to this, all pupils have a cross curricular ‘Big Writing’ lesson on a fortnightly basis. This can be in English or in their home language. Furthermore, parents can encourage their children’s writing achievements through supporting homework, handwriting and spelling that have been set for them.